DMZ International Documentary Film Festival (DMZ DOCS) is an annual festival for documentary films presented jointly by Gyeonggi province, Goyang city and Paju city. Held in a buffer zone, the Korean Demilitarized Zone, DMZ Docs 2014 aims to present documentaries with the themes of peace, reconciliation and coexistence and to promote the documentary genre as a means of communication. Despite its short history, DMZ DOCS is growing as one of the most important documentary showcases in Asia. The festival held last month presented more than 110 documentaries from around the world, including a retrospective on Marc Karlin’s work in Passage – a section committing to experimental form in documentary. 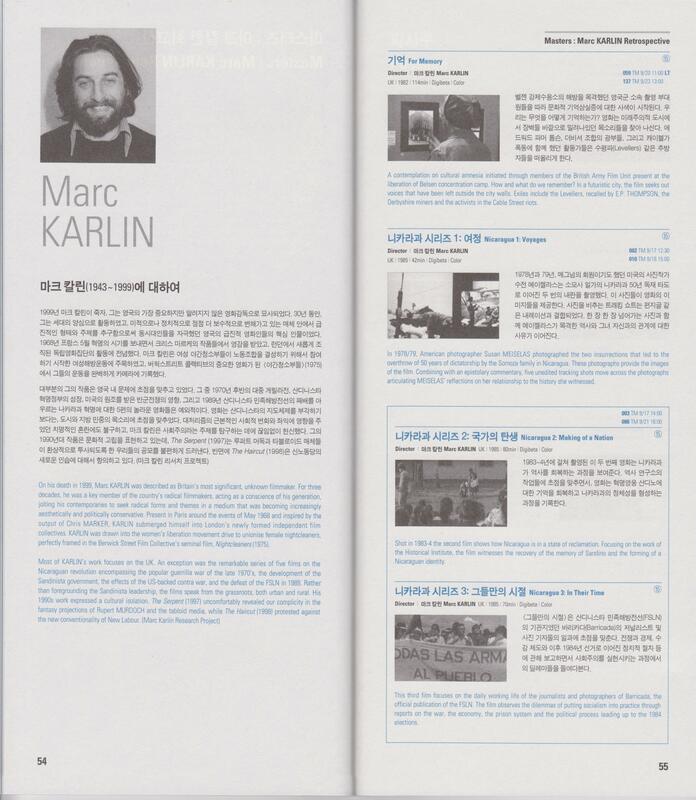 Marc Karlin Archive’s Holly Aylett was present in Paju city to introduce the work of Marc Karlin. 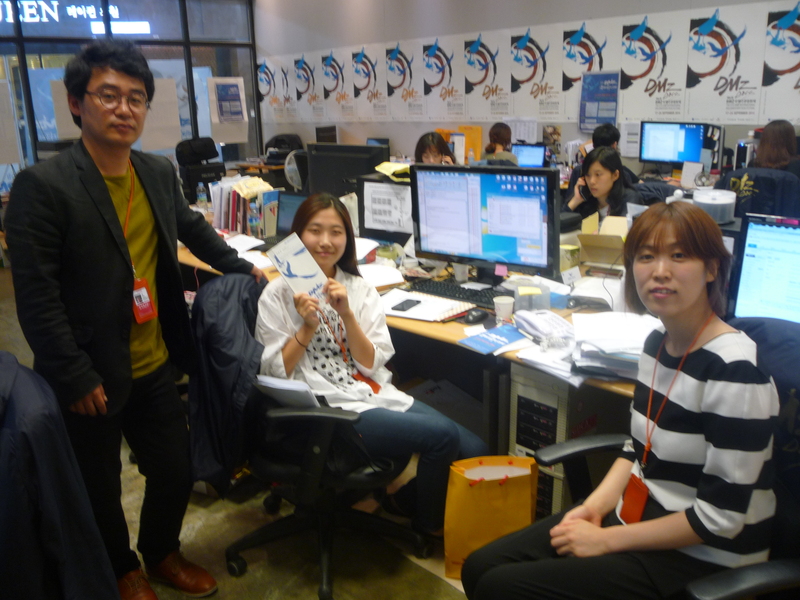 DMZ’s artistic director, Jeon Sungkwon with Claire Kim, principal programme co-ordinator, in the DMZ office in Paju city.